IDE Introduction Clino-X is based on a rare natural mineral that is highly processed and graded. 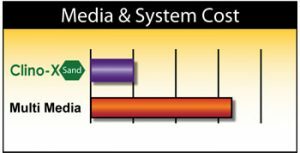 It’s unique properties allow it to radically alter the performance and cost of media filtration. 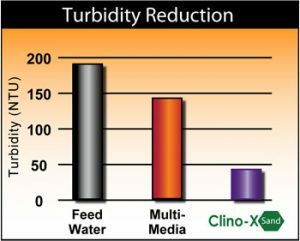 The hardness, stability and microporous character of Clino-X makes it a perfect filtration media for virtually every application in the water and wastewater treatment industry. Filtration Performance Water filtration, apart from the removal of solids and colloids, increasingly demands the efficient removal contaminants including heavy metals and other toxic substances, bacteria and other parasites. Conventional sand filter systems do no remove all contaminants and therefore alternative or additional systems are required so that the water quality meets compliance regulations. The filtering abilities of Clino-X offer a versatile and environmentally friendly option to capture most contaminants found in water systems. 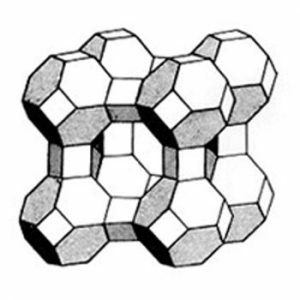 Natural Clino-X can perform these functions due to their high ion exchange capacity, adsorption-desorption energies and ability to modification. Clino-X can remove ammonium (NH4+) and metal cations Pb, Cu, Cd, Zn, Co, Cr, Mn and Fe from solutions with the recovery of ammonium and some metals as high as 97%. Higher solids loading capability Superior filtration performance . 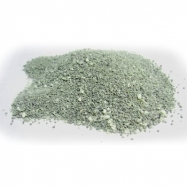 COLOR：Dark Green BULK DENSITY 55 lbs. per cu. ft.
SERVICE FLOW RATE :12 – 20 GPM/sq. ft.
BACKWASH FLOW RATE:12 – 16 GPM/sq. ft. Note: Allow bed to soak overnight before initial backwash.